Bella was so excited for birthday morning that I found her in the kitchen pouring the drinks and getting the donuts on the pates. She was already dressed and got back into our bed to eat and open presents. 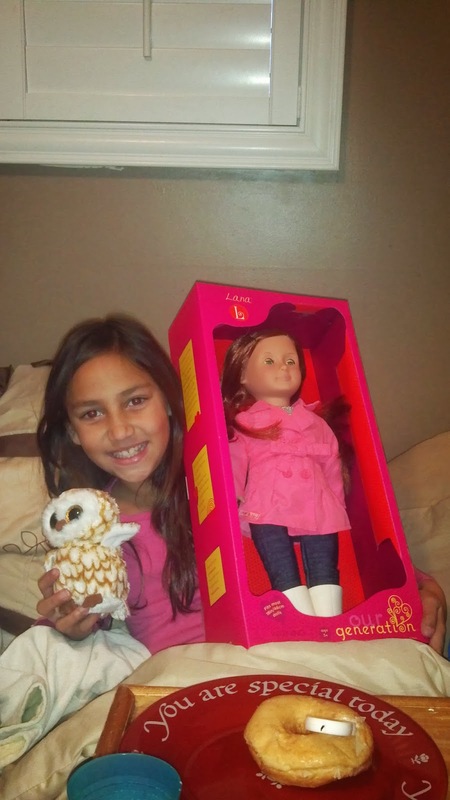 She got her American Girl Doll that she really wanted and the girls picked out a stuffed animal owl that she had had her eye on.